Welcome to the website of Chapter 392 of the Vietnam Veterans of America (VVA). Our chapter serves the greater Portland Oregon region covering Multnomah, Clackamas and Washington Counties. Welcome home and thank you for your service! Founded in 1978, Vietnam Veterans of America (VVA) is the only national Vietnam veterans organization congressionally chartered and exclusively dedicated to Vietnam-era veterans and their families. Chapter 392 in Portland, Oregon is one of over 500 chapters throughout the United States, Puerto Rico, the Virgin Islands, Guam and the Philippines. 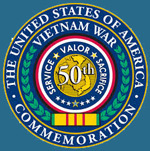 VVA is organized as a not-for-profit corporation and is tax-exempt under Section 501 (c) (19) of the Internal Revenue Service Code. Donations to VVA are deductible as charitable contributions on the donor's federal income tax return. VVA Chapter 392 wishes to express its sincere thanks to Crosspoint NW LLC for their generous support. Crosspoint NW serves Portland area auto dealers through a weekly auto auction at their facility. They also provide vehicle inspection & service, detailing and transportation for these vehicles. Crosspoint NW generously provides office space for our chapter at their annex facility, and they have given VVA and other veteran non-profits financial support through a special auto auction each year. Help VVA 392 by making a donation using our online form. It's quick, easy and secure. Donations to VVA are deductible as charitable contributions.. Your purchases and donations to the Red, White and Blue Thrift Store help support the Vietnam Veterans of America. You can schedule a pickup by calling 1-800-775-VETS (8387). Volunteers are needed at our Vet Resource Center. Can you spare a few hours a week to help veterans? Training is provided. Click here to learn more. My HealtheVet is VA’s online personal health record. 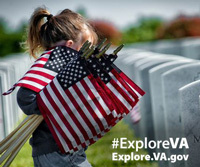 Visit ExploreVA.gov to learn about your VA benefits.